Dr Tillman Weyde, head of City’s Music Informatics Research Group (MIRG), has conducted the research underpinning the music for Beyond the Fence, the world’s first computer-generated musical. The work he has done for Beyond the Fence builds on the research that he and his associates have carried out in the recently completed Digital Musical Lab project - a collaboration of City, the British Library, Queen Mary University of London and University College London. “The idea was to analyse large amounts of musical recordings and find differences between the more and less successful ones.”, he said. “We created a database of 77 musicals with 132 hours of music and processed it with the Digital Music Lab system. The extracted information was analysed together with Dr Bob Sturm from Queen Mary University of London, who focused on the audio. At City, Dr Daniel Wolff and I worked on the harmonic aspect and similarity clustering. We found that there were no strong patterns associated with hits, but the flops showed significantly more use of the subdominant. Our analysis was used by the University of Durham’s Dr Nick Collins to generate most of the music for Beyond the Fence which was combined with additional music and text from an international team of leading scientists.” The results of this experiment can be heard and seen by the public in the performances of “Beyond the Fence” in the West End Arts Theatre. 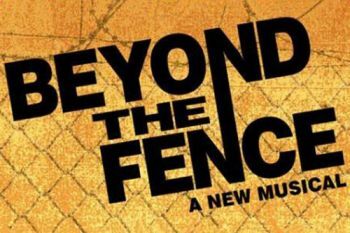 For more information on Beyond the Fence, please visit this weblink. To learn more about City’s Music Informatics Research Group, please visit this weblink.